Premium flats 5 mintues away from the international airport. Site Area — 2.27 Acres. 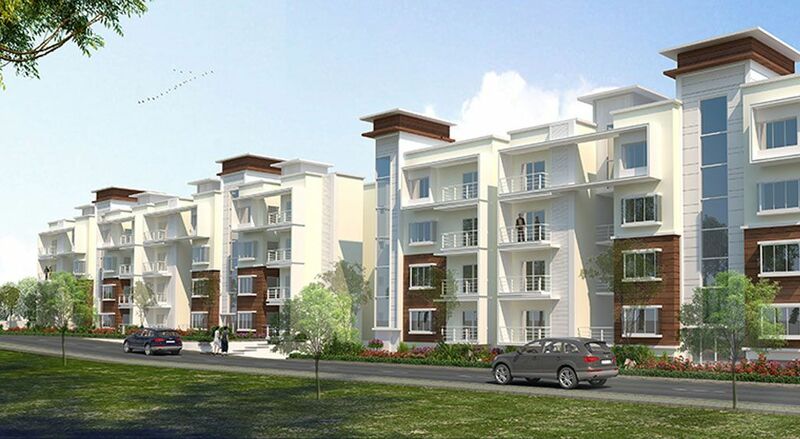 83 spacious 3 bedroom units with ample light and ventilation. 6 blocks with 4 floors. Only 2 apartments / lift/ floor providing privacy. All apartments have large decks. Landscaped courts for all ground floor apartments & private terraces for the top floor units. Abundant car parking under the podium. Landscaped podium with community spaces.